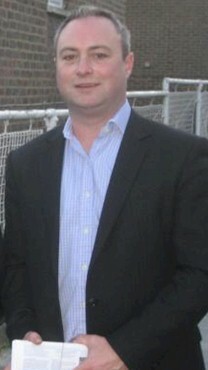 Spencer Drury is the Conservative candidate for Greenwich & Woolwich. Here's his answers to some of your questions. What do you think qualifies you to be MP for Greenwich and Woolwich? The only qualification one needs to be MP for Greenwich and Woolwich is more votes than the other candidates. However, I hope that I can bring a different perspective to the role of MP through my involvement in the local community and knowledge of the different issues around south-east London. I'd like to know what the candidates would do about the Blackwall Tunnel closure, and what their views are on two-way traffic through one 1/2 of the tunnel. As I have said before I am disappointed that the contra-flow system has not been reinstated, but I understand this is because of a change in EU regulations. This puts a different perspective on the situation as Conservative policy is to bring a range of powers back into this country from a European level and clearly we should be able to make our own decisions about using a system which had not caused any accidents as far as I could see. Would you like to comment on Greenwich Councils announcement that it is to snoop on its own staff? Ironically it was a local resident who passed the letter which has been put in the public domain to me and I sent it on to Dizzy (Phil Hendren) who is a friend of mine and used to live in Plumstead. I think that the principle of the state creating bigger and bigger databases is one which scares me. It seems the relationship between the state and the individual has changed, with all the power in the hands of the government which can compare our data as an when it wishes. The relationship between the individual and the state has to be rebalanced so that the individual has more power. This is one of the reasons why I oppose the Labour policy of introducing ID cards. The last book I read was The Return of Sherlock Holmes and I am currently picking my way through Suggs and the City which I find very relaxing when my days are filled with electioneering. Greenwich Hospital is appealing the decision to reject their redevelopment of Greenwich Market - do you support redevelopment of the market? I think Greenwich Market needs refurbishment not redevelopment. This means smartening up what is already there (and is much loved by local residents and visitors) rather than demolishing chunks of it, putting up wood cladding on buildings and ripping up the cobbles. So no, I do not support the redevelopment plans that were bought forward, but I do think that the roof of the market needs replacing. Would it be democratically acceptable for a Bristol based quango to force upon Greenwich a market redevelopment that is unwanted by the people or their elected representatives in the Council? Linked to the previous answer, no. This is equally true for other planning applications which are overturned in Bristol having been rejected in Greenwich. 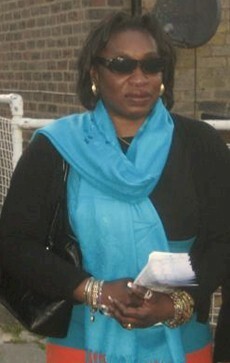 I was born in London and brought up in the UK and Nigeria. I’m active in the community through my church and through housing and children’s groups. I’m a full time parent – my children went to local schools, and I’m a Governor at Charlton and Willow Dene Schools. I also founded and run JMF, a charity for young people with disabilities. I enjoy meeting people through my work and getting involved in local activities – sharing our enthusiasm together and most importantly having fun! This election is being held alongside a General Election. Whilst most people’s attention will be on the national elections, the local elections are important too: each voter has three votes they can cast, electing representatives who will have a say over issues that can have a significant impact on everyone’s daily lives: the standards of education, the number of police on the streets and the standard of local facilities and services. With the right leadership, local councils can make a big difference to our quality of life: this election is a chance for us to choose that leadership. I have been involved in the local community for a number of years. As the founder of a charity, a parent whose children went and go to school in Greenwich and an active member of a number of local community groups, I have experience of what it’s like to try and work with the Council across a number of different issues. I am standing as a candidate so that I can work to make the Peninsula and the borough a safer and cleaner place to live and work, and make the council work harder to deliver better quality, better value services – I believe that the experience I have learned so far will help me make that happen if I’m elected. I really like East Greenwich Pleasurance – it’s a special place tucked away off the tourist trail that provides a nice alternative to Greenwich Park on a sunny day. -Reducing congestion across the ward. By asking local people what measures they would like to see put in place to manage traffic on the main roads and discouraging traffic from speeding through residential areas, and by encouraging use of alternatives to the car where possible. -Putting more police on the streets of the ward. Residents and businesses would like to see a greater police presence in the area. I want the Peninsula to be seen as a safer place to live, work and relax – at all times of day and night. -Giving East Greenwich a clearer voice on Council issues. Much of the Council’s funding priorities are focused on Woolwich – as witnessed by the attempted closure of Greenwich Law Centre last year which we petitioned against. I would like to see a greater commitment by the council to keep services like the Law Centre and Library open. I have worked in education for the past few years. I am involved in particular in English and literacy education. I think that everyone has the right to a good education to help them do well in the workplace. I enjoy living in South East London and in Greenwich in particular. It matters because Council election results have a direct impact on peoples’ daily lives in the area in which they live. I want to play an active part in ensuring that communities and individuals alike have a ‘voice’, that is, that they are represented fully on the Council. There is always room for improvement in local services and it is important to look for practical, pragmatic solutions to meet the needs of diverse communities in Greenwich West, from youth organisations and schools to community and residents’ groups. As I work in education I think a priority would be promoting improvements in terms of education provision as, at the moment, many results are nowhere near good enough. For example, results are very uneven in terms of A*-C attainment at GCSE. Another priority would be to ensure adequate representation of residents’ concerns in terms of housing provision and street cleanliness. This is the first a series of posts which gives candidates in the Greenwich West and Peninsula wards the chance to tell Greenwich.co.uk readers a little about themselves and why they standing in the forthcoming council elections. I joined the Army in 1998 and served for nine years which including operational tours of Kosovo in 2000 and Iraq in 2004 before getting posted to Woolwich Barracks. Since then I have worked for an Engineering Recruitment Company as a Recruitment Consultant before becoming their IT Manager. 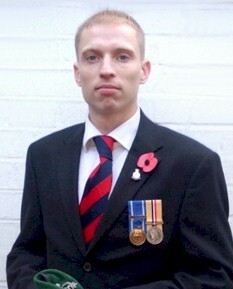 I have lived on Blackheath Hill since leaving the Army in 2007. At the 2006 Council elections the turnout in parts of the Borough was as low as 25%. By going to the polling station on Election Day you are giving a clear signal that you want to improve the services that you receive. I am standing to make a difference to the services we get from the Council and for greater value for our council tax, to work hard to make Greenwich a better place for all of us. One of my favourite places to visit after work in Greenwich is the Tolley (Richard the First) on Royal Hill which has a great community feel and Young’s bitter on tap! I also enjoy wandering around the market on a weekend, in particular trying the various different foods, which is why it needs to be protected from damaging redevelopment which would ruin the heart of Greenwich. If elected, what would be your priorities for Greenwich West ward over the next four years? If elected to serve West Greenwich I would ensure that Charlotte Turner School was re-opened, fight against the redevelopment of Greenwich Market, ensure that an extra police team was set up and based in Greenwich Town Centre and ensure that the LOCOG deliver on their assurances of returning the Park in the same way that they found it. Also that Greenwich Time, the Councils propaganda paper is scrapped. 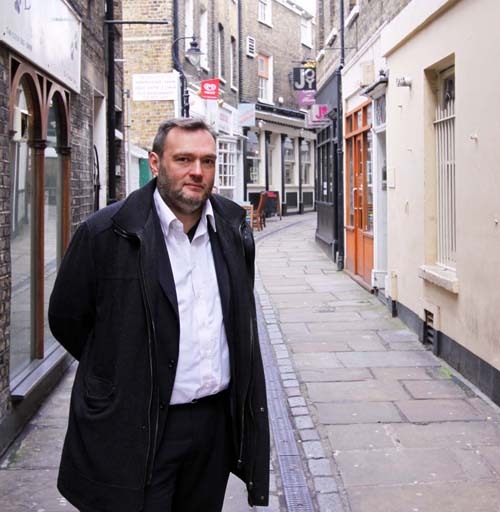 Former Greenwich Councillor John Antcliffe has died at the age of 48. 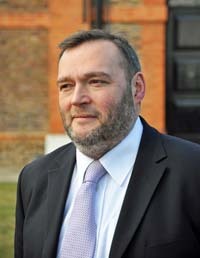 As well as serving on Greenwich Council for the Blackheath ward, Mr Antcliffe was the Conservative candidate in the 1987 by-election for the Greenwich constituency. 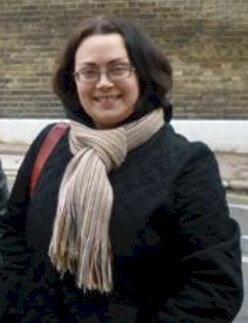 The by-election, prompted by the death of Labour MP Guy Barnett, was won by SDP candidate, Rosie Barnes. Mr Antcliffe stood again in the General Election that followed later that year. More information available from the ConservativeHome website. This is part three of Adam Bienkov’s interview with Spencer Drury – Conservative candidate for the Greenwich & Woolwich parliamentary seat and leader of the Conservatives on Greenwich Council. Part one and part two were published on Tuesday and Wednesday of this week. Hosting the 2012 Olympics has a been a polarising issue in the borough, but the Greenwich Conservatives have so far been relatively quiet about it. Drury himself has mixed feelings about the Games. “The 20,000 seat stadium I have got serious questions about. I mean the fact that it’s a temporary stadium, I’m already thinking is that worthwhile? But where they’re planning on putting it will actually ruin the views down the park to Maritime Greenwich. I mean if you put a great big stadium in front of that then you’re ruining the very views that they seem to want. That seems to me to be self defeating." 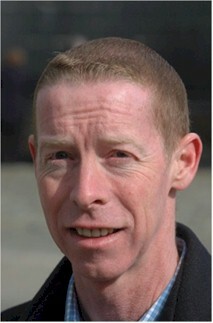 He also believes the Council have missed a big opportunity to capitalise on the Games. So will the Games be good for Greenwich overall? "I think Clive Efford [Labour MP for Eltham] marked himself as a local MP who didn’t care about Westminster very much. Well I think that Nick Raynsford is the opposite to that. There is a local area. He’s aware that it exists, but Westminster is where his heart is." Like Efford, Drury has a close attachment to the area. Raised in Woolwich and a long standing councillor in Eltham, Drury still lives within the borough. “I did [consider it] but it was for various personal reasons. My daughter had been in hospital for two months and then my wife became ill as well. It was in the run up to the selection for the parliamentary seat and I came pretty close to just packing it all in frankly. And ironically it was a letter from Chris Roberts asking if everything was okay that changed my mind. “It made me think think that maybe politics isn’t just about doing silly stunts and playing silly games. That maybe there is a point to it"
This is part two of Adam Bienkov's interview with Spencer Drury - Conservative candidate for the Greenwich & Woolwich parliamentary seat and leader of the Conservatives on Greenwich Council. Click here to read part one of the interview. I meet Spencer Drury the day after the monthly full meeting of Greenwich Council. As usual the Conservative group raised a motion which was voted down by Labour, with Council leader Chris Roberts dismissing the debate as a “complete irrelevance.” Only a handful of voters were there to hear it. And yet every week a newspaper promoting the Council's agenda and featuring exclusively Labour politicians is distributed to the entire borough. Many thousands of voters will go on to read it. So how can an opposition party ever hope to counter this imbalance? “There is a real problem in Greenwich. Labour have been in power for 40 years and as an opposition the changing system has made it hard to make any contribution at all. We’re marginalised on scrutiny panels which are 100% chaired by Labour members and we can bring motions to Council which obviously get voted down. So the council side of it is very hard to contribute to at all. And it is hard to break through what is essentially a taxpayer funded infrastructure in place to support the Labour Party." So would the Conservatives close down Greenwich Time? But is it really just a political vehicle? So why bother to do it? So what can the opposition do in these circumstances. Where can they be effective? But do the Council listen to those representations? What do you make of him personally? I ask him about reports that Roberts is moving wards at the election. Is he running away from defeat? In part three of the inteview, to be published tomorrow, Spencer Drury is asked about the 2012 Olympics, schooling in Greenwich and the forthcoming General Election campaign.